Reprinting arts and culture article from Seaside Visitors Bureau. For a decade and a half, Seaside has organized an Art Walk to celebrating the work of residents and visiting artists. 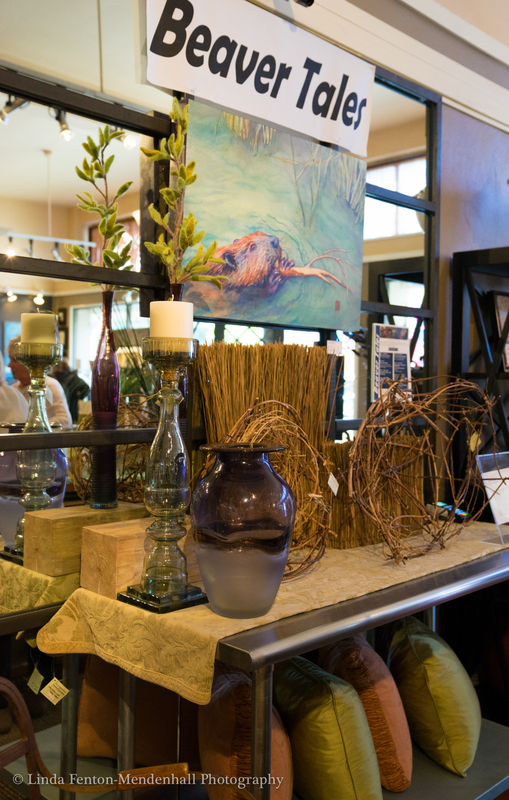 On the first Saturday of every month, the art galleries and boutiques located between Holladay and Broadway in the downtown Historic Gilbert District host the Art Walk from 5 to 7 pm. The Art Walk is free and open to the public and gives everyone a chance to see the incredible art of the region. You’ll also have the opportunity to meet artists, watch demonstrations, and even listen to live musical performances. Visiting Seaside when there is not an Art Walk? Don’t fret. 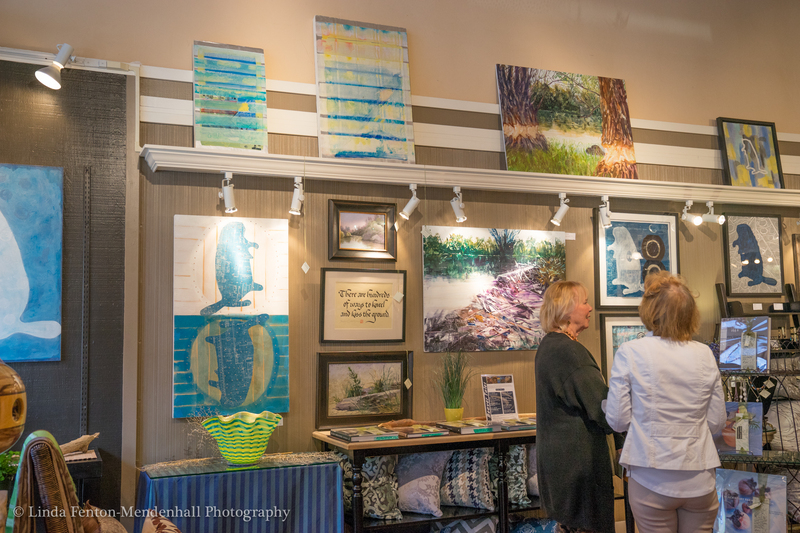 Seaside’s art community is well represented all year-long. Must-stop art galleries include the Oregon Gallery, the SunRose Gallery, the Fairweather House and Gallery, and the numerous murals spread all throughout town. 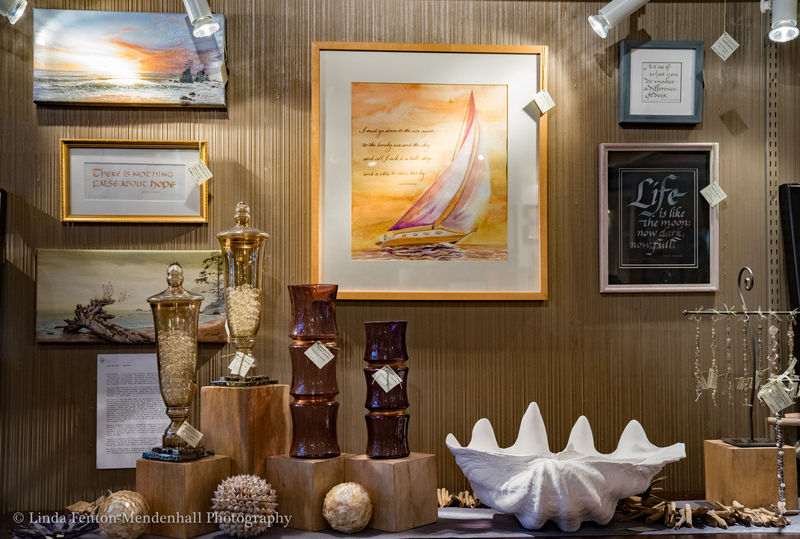 Along Broadway Street just east of the Necanicum River, Seaside’s Historic Gilbert District is home to several distinctive galleries and shops known for both locally and regionally produced artwork and gifts. Fairweather House and Gallery (612 Broadway) is one of the preeminent fine-art destinations on the North Coast, with works in a variety of media by both local and regional talents, from larger-than-life abstract paintings to woodwork, bronzes, pottery and even handmade furniture. 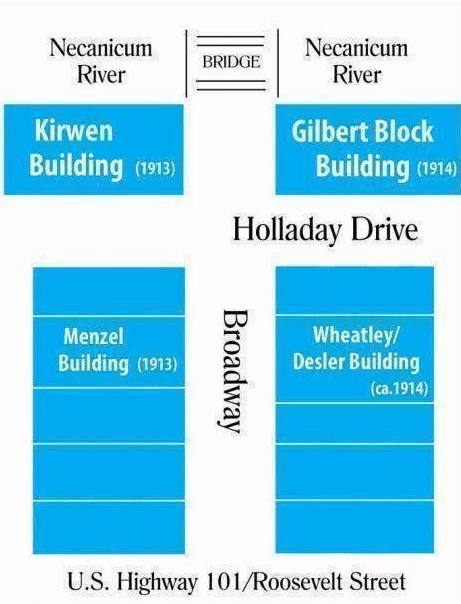 Map featuring four major historic building blocks in the Historic Gilbert District of downtown Seaside. The Seaside murals are an attraction in themselves and capture the spirit and culture of this idyllic coastal town. 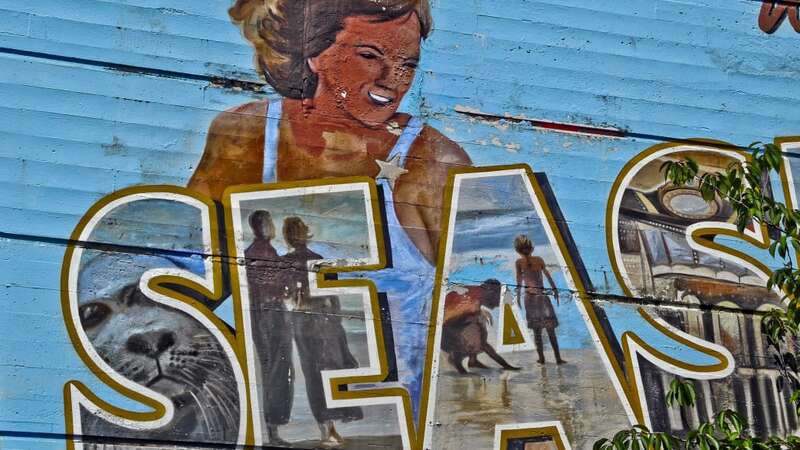 Colorful, iconic, and full of the coastal spirit you’d expect to see, the murals, which are perfect for selfies in the salty air, adorn buildings all around town. Mural located in the Menzel Buidling block of the Historic Gilbert District of downtown Seaside. 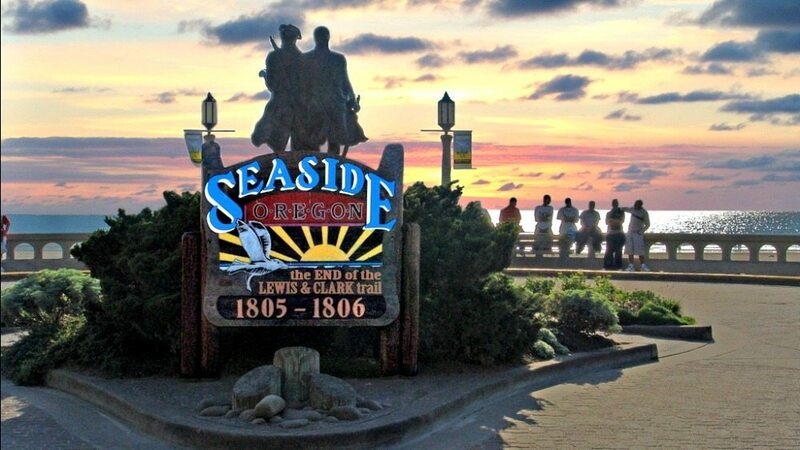 To view the latest and greatest murals, pay a visit to the Seaside Visitors Bureau, where you can get directions and personalized recommendations for other things to explore in the area. Q: Who visited Fairweather House and Gallery recently (on a Thursday in March), you ask? A: A group of ladies from Taiwan, a group of college students who were working on an assignment of visiting galleries and writing about the pottery artists (on mid-winter break from Seattle) and a couple from Vermont… all on a day when there was snow just six miles out of Seaside on Highway 26 (indeed, it is the bridge season between winter and spring). FIRST LOOK, an exhibition, through November. An exhibition titled FIRST LOOK, a highly anticipated jewelry trunk show, features a dozen of local and regional designers– including a select group who have been represented by the gallery more than 11 years! 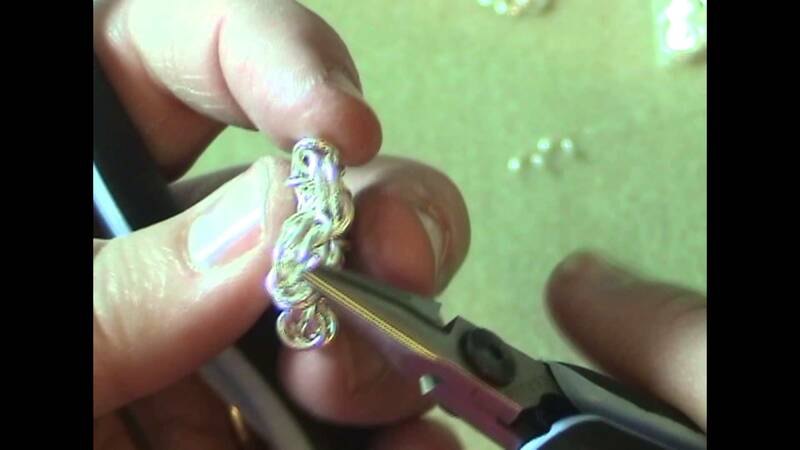 Barbara Walker works in precious metal wire turning bling into a wearable work of art. Mary Hurst, born in raised in County Tipperary, Ireland, studied fashion design at the Grafton Academy in Dublin, integrates past and present Celtic designs in each piece. Billie Johnstone, a former clinical practitioner, sparked her retirement into a means to support to the youth programs in Soweta, South Africa. The proceeds from the sales of her custom handcrafted jewelry are doing good works that changes lives. Alan Stockam and Heather Reider create one-of-a-kind silver rings, cuffs and necklaces; each signed and numbered, with stones from the Pacific Northwest and beyond. Cher Flick, a graduate from the Gemological Institute of America, creates jewelry doing good works, by giving back to a charitable foundation in honor of her mother, Joanie. Karen Johnson, a natural-born artist, boldly designs meticulously handcrafted statement jewelry that could – and should – be featured in magazines. Mary Boitta experiments in druzy rock semi-precious stones with in designs that retain femininity and fineness. Robyn Hall, with no art degree or formal training, creates stunning mouth blown glass lamp work bracelets and earrings. Fred Lukens crafts architecturally inspired jewelry featuring responsibly collected rare wood and Oregon myrtle wood. For COLOR IT FALL, an exhibition, at Fairweather’s. Artist Mike Mason. Carefully dried, pressed and placed botanicals. Floral impressionism is created with nature’s color and form as brushstrokes. 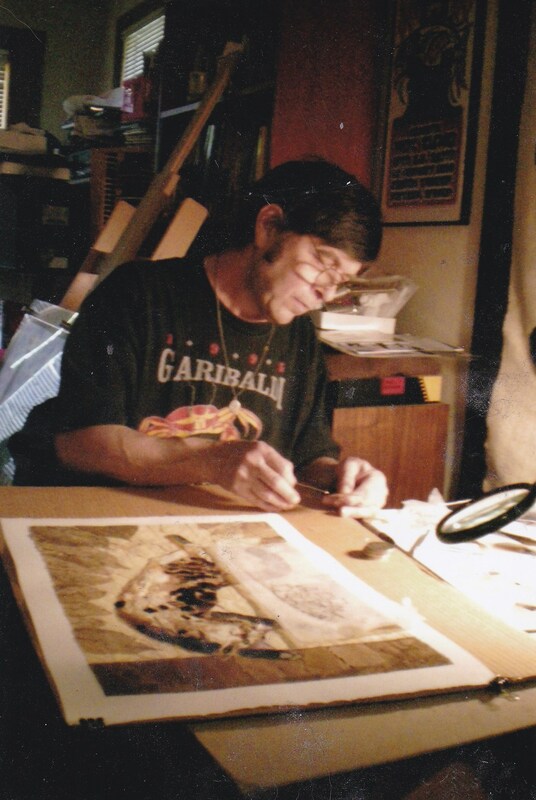 Mike Mason has been using the flora and organic palette for over 9 years. His body of work which contains over 150 pieces consist of: landscape studies animal images and abstracts. 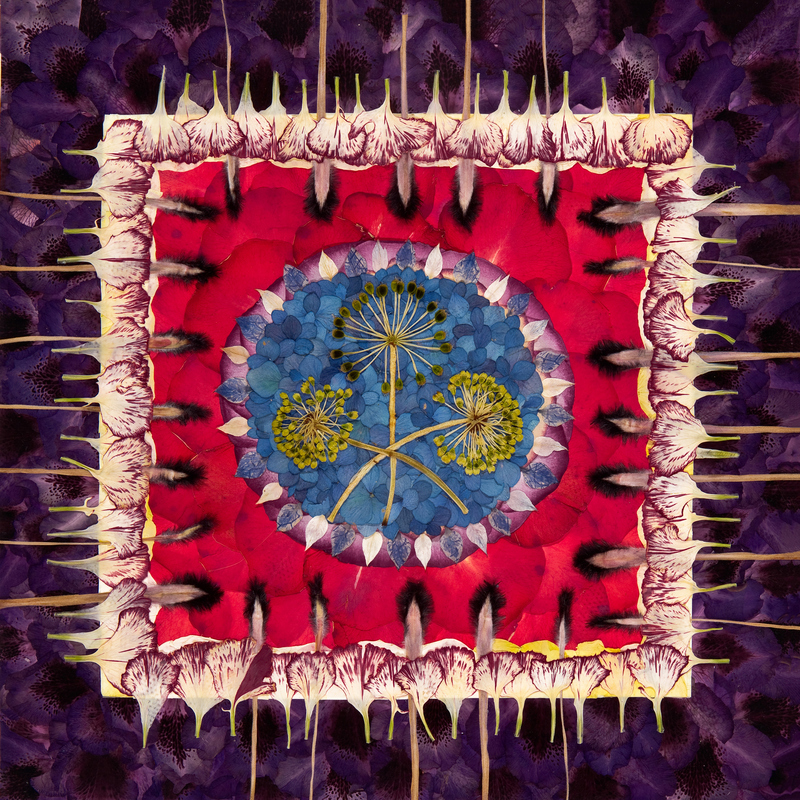 Art is created using all botanical material and made into various fine art collectables. Mike is using his art to support natural habitat conservation. Above: Blue Sun by Mike Mason. Inspired by the graphic design of the Zia symbol which is a sacred cross, sacred sun symbol. Image consists of rhododendron, rose, carnation, Protea, love in the mist, hydrangea and dill. Symbol of faith. Nine point star. Peaceful Religion. Image consists of hydrangea, queen anne’s lace, tulips, rose, rhododendron, peony and foliage. Reference to the “Big Bang Theory,” Suggesting a point of origin, a catalyst for the expansion of the known of the universe, and beyond. Image consists of, but not limited to: Iris, squash blossom, fuchsia, rose, gerbera daisy and peony. The summer art season ends with a most perfect exhibition titled COLOR IT FALL. New original art compositions revolve around the complementary clash of the deliberately heightened blues, bright oranges and warm yellows. Color is the dominant element in art. Featuring prize-winning artist Mike Mason, who uses carefully dried, pressed and placed botanicals to create art to support natural habitats conservation. An ICON. Master calligrapher Penelope Culbertson. For ICONIC. 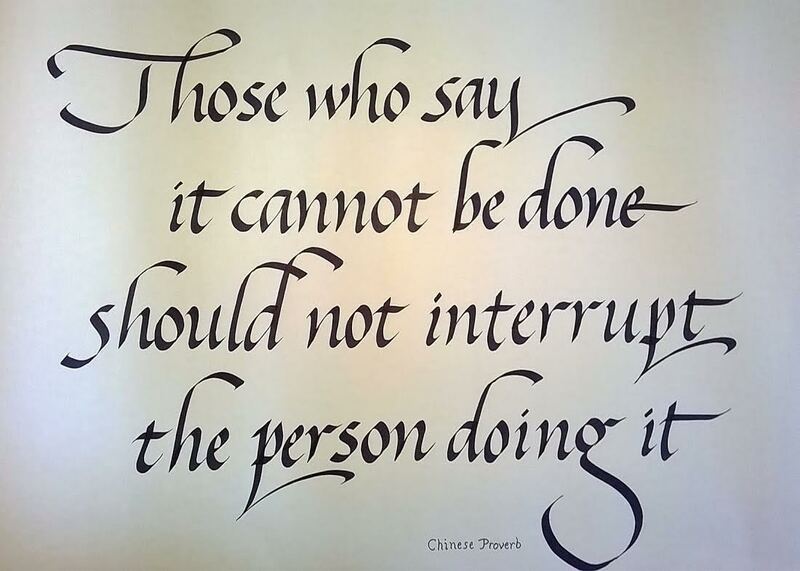 Timely quote by master calligrapher Penelope Culbertson. For ICONIC, an art exhibition, through June, 2017. Penelope Culbertson taking a request. Penelope Culbertson offered a scribing LIVE episode during the opening reception of Iconic on June 3rd. For Iconic, an exhibition, Penelope Culbertson created new water-color works combined with calligraphy. In addition, in the photo are seascapes by Lee Munsell. Throughout the years, water-color artist and master calligrapher Penelope Culbertson has appeared during events at Fairweather’s to offer art lectures, calligraphy history lessons, and scribing LIVE events. Calligrapher Penelope Culbertson scribes LIVE. Original work by Penelope Culbertson. Penelope Culbertson began her art studies at the Portland Art Museum as a child, in the art department at Cleveland High School, at Reed College with calligraphy master Lloyd Reynolds, at Willamette University in Salem, at the San Francisco Art Institute, and the Institute de Bellas Artes in San Miguel, Mexico. Penelope was the co-founder of the Art Academy of Kona and the West Hawaii Arts Guild where she served on the Executive Board. Penelope worked in the Hawaii State Artist-in-School program and showed as the Artist-in-Residence at the Hyatt Regency. Her work is in the permanent collection at the Royal Waikoloan Hotel. 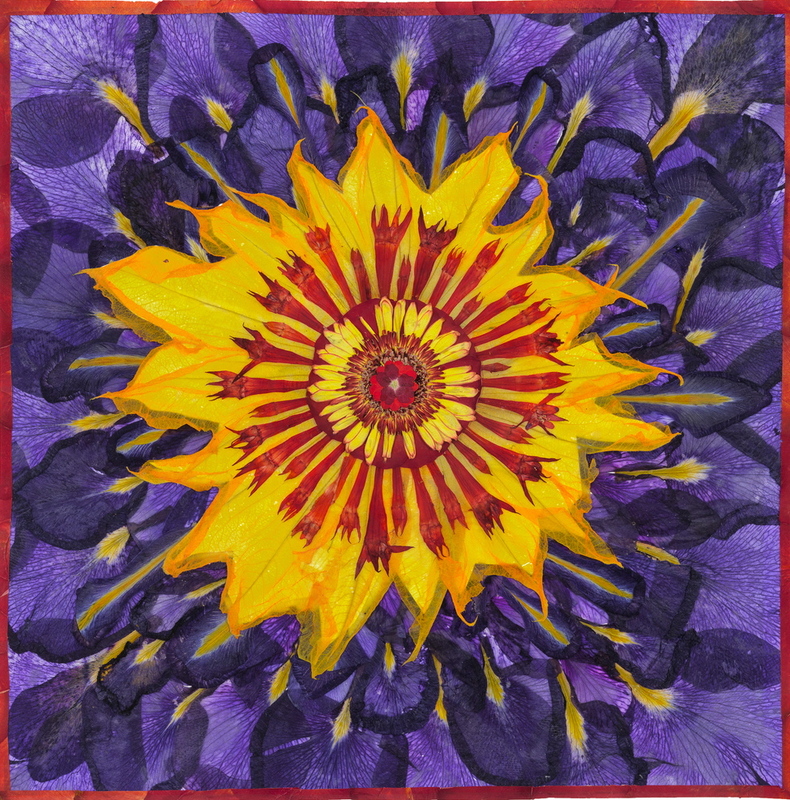 Since her return to Portland, Penelope has had seventeen solo exhibits of her watercolors. She showed year round at the Hawthorne Arts Gallery and annually at the Buckman Art Show where she was the founding chairman of the Children’s Art Sale. She taught children’s art classes at the Buckman Arts Magnet Elementary and for the Portland Parks Dept. in their after-school program. In 1999 she helped produce a book of children’s watercolors about the Portland Water System. She was co-founder of The Hawthorne Arts Guild and showed in all their monthly group shows. Penelope teaches weekly classes in calligraphy and watercolors for the disabled. 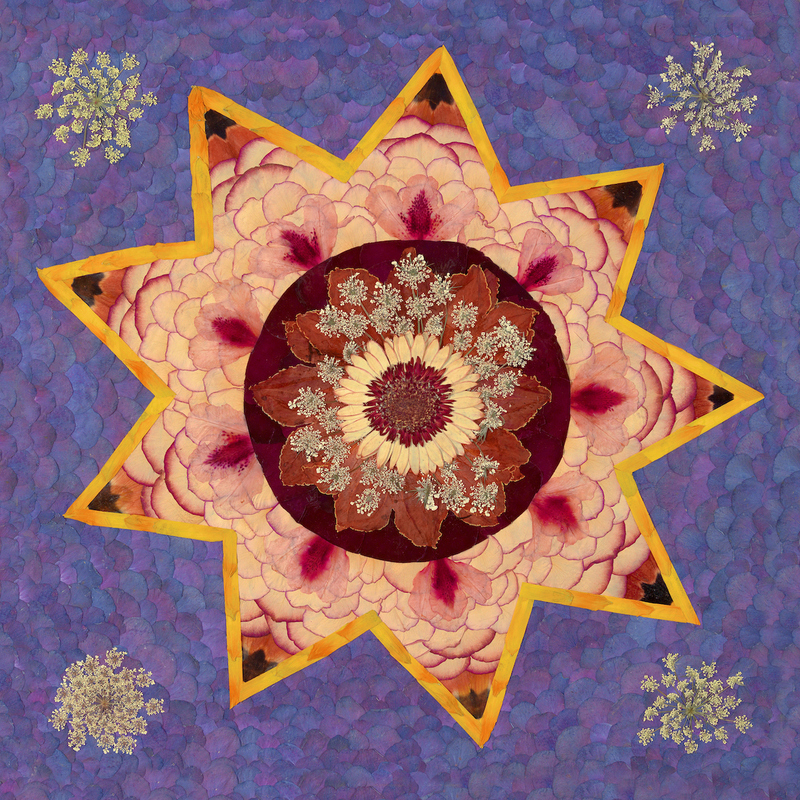 She experiments in watercolors, oil pastels, collage, tapestry weaving and calligraphy. She is a member of the Portland Society of Calligraphy. Q: What is calligraphy, you ask? A: Calligraphy is the art of forming beautiful symbols by hand and arranging them well. It’s a set of skills and techniques for positioning and inscribing words so they show integrity, harmony, some sort of ancestry and rhythm. Symbol is a mark which has a specific agreed-upon meaning in a language, like a letter of the alphabet, a numeral or a word. 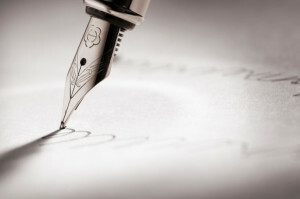 Integrity of a letter means admirable proportions and form. Harmony describes a pleasing relationship between different visual elements in a piece of calligraphy: parts of a letter, letters, words, the whole text and surrounding space. Ancestry refers to the heritage of letter-shapes, materials and techniques which calligraphers use. Rhythm means the calligrapher’s deliberate repetition and variation of marks and spaces to create feelings of pattern and emphasis. Beaver Tales after party notes and photos. Hostesses dressed in safari outfits. Elaine, Kathy b> Kathy F., Kay, Joan and Denise. Art patrons and beaver huggers. May marks American Wetlands Month, a time to recognize and celebrate the multitude of ways wetlands contribute to our quality of life.–The Wetlands Conservancy. 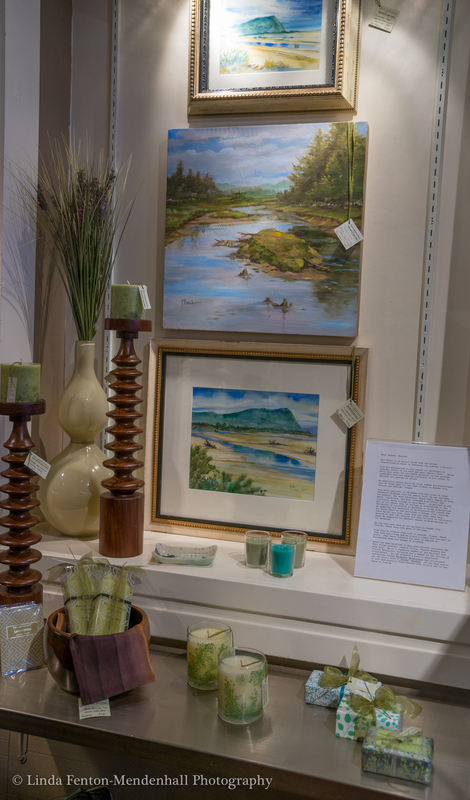 Fairweather Gallery displayed original art work by Paul Brent, art depicting wetlands for the Beaver Tales exhibit. Fairweather Gallery artist Agnes Field created fresco paintings depicting beavers for the exhibit. The Beaver Tales exhibit that continues throughout the month of May in the Fairweather Gallery located at 612 Broadway and in the adjacent pop-up Beaver Tales gallery located at 608 Broadway. During the opening reception for Beaver Tales special guest speakers spoke about the work wetlands and the good work that beavers do. Neal Maine, Esther Lev, Katie Voelke, Meylssa Graeber and Sara Vickerman shared stories and suggestions of how to learn more about wetlands and get involved conserving our state treasures. Katie Voelke, Executive Director/ North Coast Land Conservancy. Meylssa Graeber, Executive Director of the Necanicum Watershed Council, spoke during the opening reception of Beaver Tales. And, too, nearly 100 artists were selected to participate in the BEAVER TALES EXHIBIT, a celebration of beaver art!!! Proceeds in support of The Wetlands Conservancy, Necanium Watershed Council and North Coast Land Conservancy. Please go to http://www.coast weekend.com to read more about Beaver Tales! “The Seaside exhibit is going very well. Denise Fairweather did an incredible job of securing the pop-up space, furniture and accessories (even beaver sticks) for the display, which resulted in a lovely presentation. Her careful attention to detail and perfectionism are mind-boggling. Even before it officially opened, visitors poured in to view the art. The exhibit is divided between the Fairweather Gallery at 612 Broadway and adjacent pop-up space Beaver Tales at 608 Broadway. Seaside First Saturday Art Walk was a great success, attracting quite a crowd of beaver art enthusiasts. We’ve sold 5 pieces so far at Seaside. Thanks so much for those of you who attended the opening and to Mike Mason, who did a demo of his lovely botanical art on Sunday. For more info the participating Fairweather artists, please go to http://www.fairweatherhouseandgallery.com …artists … Paul Brent, Mike Brown, Agnes Field, Jo Pomeroy Crockett and Neal Maine. BEAVER TALES, a celebration of art. SAVE THE DATE AND TIME! Listening to the Land: Dam, Beaver! Dam! Frances Backhouse will offer a talk based on her research and writing that appeared in her award-winning book, Once They Were Hats: In Search of the Mighty Beaver. At Beach Books on May 6th at 1:pm. http://www.backhouse.ca/books/once-they-were-hats-in-search-of-the-mighty-beaver/. The Wetlands Conservancy has posted information on the Beaver Tales art project. The link is below. Feel free to share it with your friends and contacts. Here’s a link to an excellent short video, with great aerial depiction of the changes that beaver dams bring to meadows . . . Some parents are a little more dedicated than others, according to wildlife expert Frank Ritcey. Ritcey says beavers take a more paws-on approach to raising their young. They give birth inside their lodges, where kits will stay until they’re old enough to start eating solid food. “Once they’re old enough to venture forth, they travel about with the parent to learn how to become a beaver. [Kits] follow the adult around and mimic the adults actions,” said Ritcey. While nothing can compare to the real beaver it is great to see more comprehensive research about the positive impacts of beaver dams. This page features updates on what’s happening in the beaver world and news about the book. A new addition to the beaver’s resumé — cattle wrangler! A successful rescue of a wandering young beaver in London, Ontario. Moments Like This. August 2016 exhibition. Just in from Neal Maine. 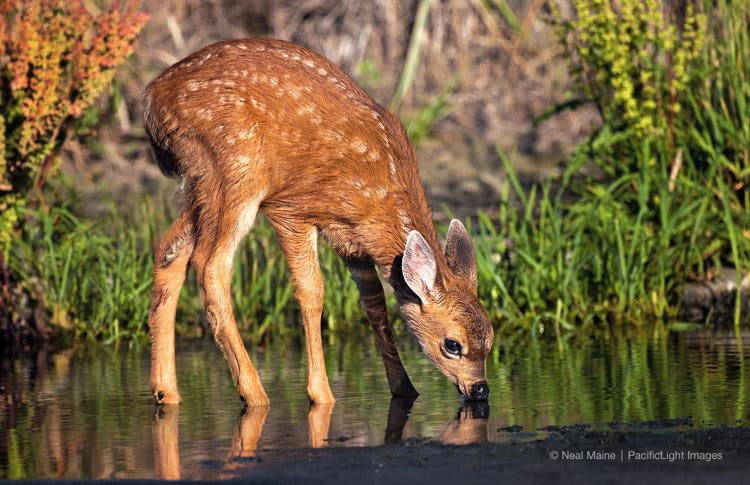 “Life Drink” by nature photographer Neal Maine/ PacificLight Images. Proceeds in support of NCLC. Plan on high and low notes, moments that are quiet and rousing. “MOMENTS LIKE THIS”, an exhibition through August 30th, is about selected art by regional artists mesmerized by the sparkling ocean and fiery sunsets, “in light so soft and tender, despite its brilliance” as artist Henri Matisse said. And, too, Bev Drew Kindley, en plein air artist, and Lori Wallace-Lloyd, pastel artist, will be offering a Seaside Painting LIVE ™ event, two fine art demonstrations, throughout the evening! See and be seen. Need to know: Dedicated parking for the historic Gilbert Block is on the corner of Ocean way and Holladay. *At 6:pm Neal Maine will speak about the ecology found in the coastal habitats.